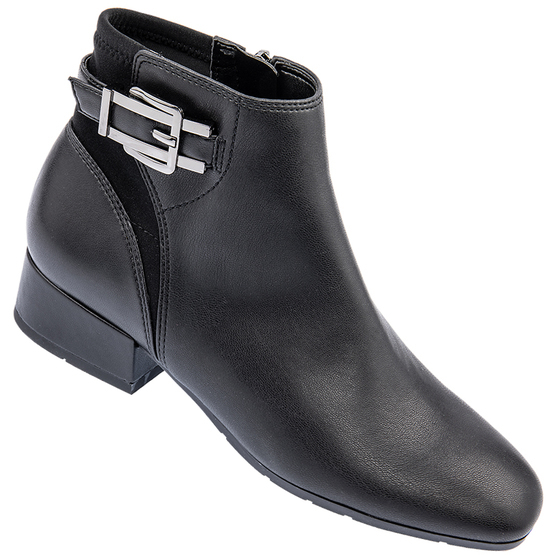 A stylish ankle boot with comfort and fit blending into beautiful design. The faux leather upper has a fabric back for premium comfort and a full length zip for easy on/off. The removable insole is generously cushioned and the light outsole has both flex and grip.